It’s not a true campfire unless you plan on cooking something over it! 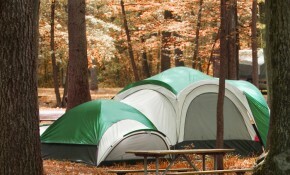 When planning your next camping trip, be sure you’re not just packing sandwiches, pre-packaged snacks and canned food. 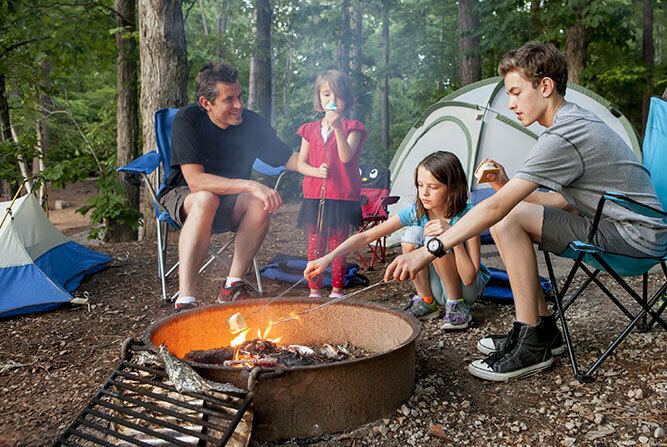 Impress your friends or family by bringing some ingredients to make a good campfire recipe. Below, you can find some of our favorite recipes while sittin’ around the fire! For this, we’d recommend you purchase a pudgy pie iron contraption. They look like two sticks connected by two metal slices of bread. This mechanism makes it easy for cooking your pudgy pie over the campfire. All you have to do is put a slice of bread in each end and your filling in the middle! Close the machine and start roasting! Our favorite recipes include pizza sauce, shredded cheese and pepperoni for a pudgy pie pizza. For dessert, try mini marshmallows, crumbled graham crackers, and chocolate for pudgy pie s’mores! 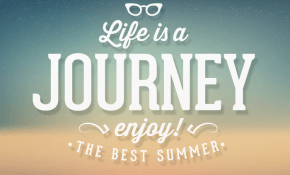 There are hundreds of recipes to create and try. If you’re looking for a good breakfast, crack open an egg, add some bacon, and sprinkle some cheese in it before closing and cooking over the fire! This recipe depends on what you have available and makes a great side dish! Our Hobo Stew consists of putting potatoes, carrots, peas, corn, and ground beef in aluminum foil and cooking it over the fire for 25 minutes! Be sure to add some seasoning and a slice of butter. You can pretty much put any vegetable in aluminum foil and cook it over the campfire for a unique and homestyle side dish! Almost everyone has had a s’more at one point in their life. This unique treat is made when you roast a marshmallow over the fire until golden, then press it between two graham cracker squares and add a slice of chocolate before squishing it together to make a sandwich! A campfire burrito involves some preparation at home before your camping trip begins! Fill a hearty tortilla with sausage, egg, potato and cheese and wrap it up. Then take your burrito and wrap it in 2 layers of aluminum foil. Place the burritos in a plastic bag and place them in your cooler. When you get your fire going during your camping trip, place the burritos over the fire for 5-10 minutes on each side to reheat, and your campfire burrito is ready to eat! Another version of this is a campfire quesadilla, which involved placing the tortillas on top of each other creating a sandwich, and then wrapping the foil around it very delicately. If you have any great recipes worth sharing, please feel free to let us know in the comments below! 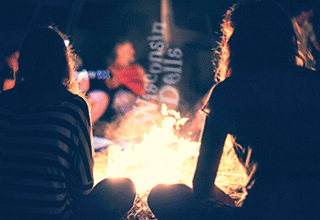 For some great Wisconsin Dells area Campgrounds, Click Here!